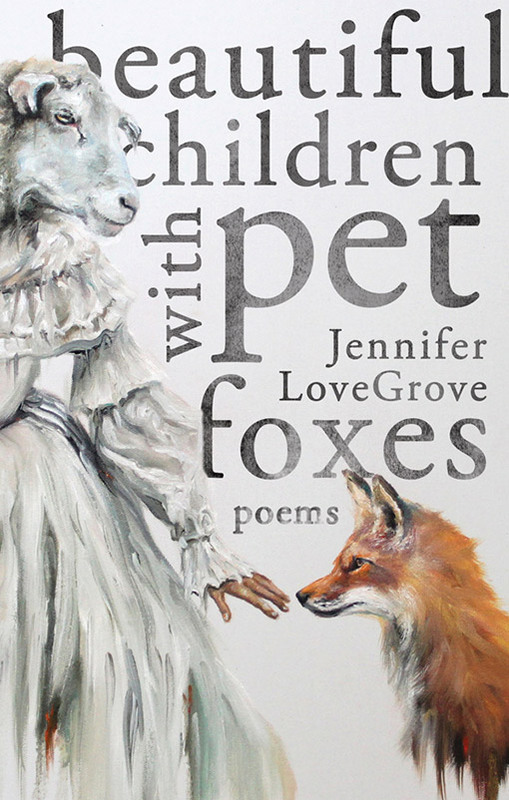 Beautiful Children With Pet Foxes is Giller Prize-longlisted author Jennifer LoveGrove’s third collection of poetry. It bears witness to moments of extreme crisis that take you on an odyssey through a terrain of startling dreamscapes. These are poems haunted by the ghosts of alienation, trauma, delusion, and fear that the past decade has instilled in us. Here you will encounter a whole host of personas, both tame and wild—from humans, to foxes, moose, deer and crows, slugs, fish, beetles, mosquitos, earthworms, and more—who give voice to the things we can’t express in our daily lives. and they are not ghosts at all. BookThug Intern Melissa Myers recently sat down with Jennifer to discuss Beautiful Children with Pet Foxes and the importance of place and process in her writing. Melissa Myers: What are the most rewarding and most challenging aspects of writing for you? Jennifer LoveGrove: Like most writers say, the hardest part is facing the blank page. Endless possibility can be rather paralysing for me, so I like to go into a first draft of a poem with a bit of a plan, whether that is simply working with a particular phrase, or image, or concept, and go from there. I recently wrote about poetry prompts and exercises, and interviewed a few poets about this at Open Book, and we shared our favourite poetry processes for getting started. I find exercises like those quite useful in staring down the blank page and getting the writing underway. The most rewarding is the third or fourth draft when you can really start to see things coalescing, after all the rearranging and cutting and replacing and more cutting. There is a real sense of discovery and exhilaration at this stage of the process for me and I find that profoundly rewarding. As is working with a good editor; when they point something out or nudge you in a certain direction, and suddenly you see the poem differently and are able to identify what needs to change in order for it to be the best it can be – this is very exciting. MM: I noticed from your bio that you divide your time between downtown Toronto and rural Ontario – how do settings of the natural and the urban impact your writing, if at all? JL: I’m not sure if it affects my process per se, as what most affects how and when I write is having a job (or as the case has been for the months leading up to Foxes, not having a job). Whether I have all day to work on writing (a rarity), or an hour before the 9-5 job really determines how I’m going to write, what I’m going to focus on, and what methods I’m going to employ. As for the content and themes, I think living part of the time outside the city (Haliburton Highlands and more recently, the Kawartha region) has influenced my choices of images in certain poems. I’m more into animals in a tangible, concrete way now, not just the ideas of animals. I started following moose tracks in snow, and later learned to identify deer, fox, and coyote tracks in the mud, and know where the snapping turtles lay their eggs and who’s eating the eggs before they can hatch, and I have a motion sensitive trail camera to see who wanders past at night, so it’s no wonder my new poems are full of mammals and birds and insects and water and trees. But I also love and need downtown Toronto, too. It’s part of me and has been for even longer than the twenty-five years I’ve lived there. The urban experience is present in my writing too (especially in fiction I’m currently working on). I need both the natural and the urban landscapes in my life and in my writing. MM: Was there any difference in procedure between writing your last book, and this one? JL: Yes. When I wrote my novel, Watch How We Walk, I was working part time so I’d have more time to focus on the writing, and I ended up being even less productive I think. I wrote with an outline, albeit a constantly-changing outline and plan and elaborate chart on the wall, but of course, that doesn’t apply when I’m writing poetry, like the work that ended up in Foxes. It’s difficult to compare my last book with Foxes, because it’s a novel, the proverbial apples and oranges. The biggest difference though was that I am more disciplined and less self-destructive now. I’m more focused and I have more confidence and determination and resilience, which also helps. MM: Do you have any favourite poems from the collection? JL: The “Dream Specimen” poems. They were fun for me, like a break from the more emotionally intense work in the collection. Also, the title poem, the long one, feels like an achievement. I’d never written a poem that long before, and once I started, it just kept going. No one was more surprised than me. It felt really intuitive and organic actually, and is remarkably close to how it began in its first draft. 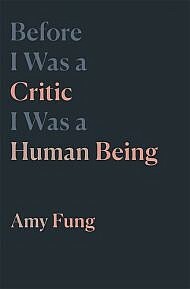 Also, “I Know My Own Limits and They are Rigid”, as it was I think the first poem I wrote for what later became this collection when I was finished my novel and starting to get back into writing poems again. That poem reminded me I was still a poet. MM: Does writing energize or exhaust you? Who or what inspires your writing? JL: Writing first drafts exhausts me; editing them into something better energizes me. 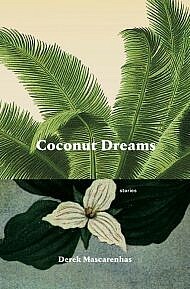 I’m inspired by other writers, particularly when I read something that seems really new or unusual or unique, that really pushes boundaries and works on the page, that excites me. That reminds why I do what I do and that makes me get to work. Intensity of all kinds inspires me. MM: What are you currently reading, and what’s the next title on your reading list? JL: I’m currently reading the Annie Proulx novel Barkskins, which is outrageously long and goes through generation after generation. I guess you’d call it a historical novel, but a really literary one. The writing itself is gorgeous, but I take a lot of breaks from it and read other things. I’m also reading The Girls Who Went Away: The Hidden History of Women Who Surrendered Children for Adoption in the Decades Before Roe v. Wade. That’s for research for fiction I’m currently working on. For poetry, I’m reading Portrait of an Alcoholic by Kaveh Akbar, which is new and good. Next up is The Vegetarian, a novel by Han Kang, and whatever else comes in next from the library. In a review for The Globe and Mail, Domenica Martinello writes, “Beautiful Children with Pet Foxes also stretches the possibility of lyric expression with a dreamlike twist.” Order your copy of Beautiful Children with Pet Foxes here.